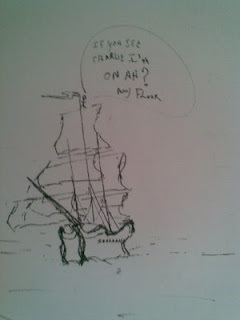 :: Construction Graffiti ::: Ahoy! Walk the plank ye SCABS! "If you see Charlie I'm on AH? Any Floor." A close-up and a full size of the same piece. 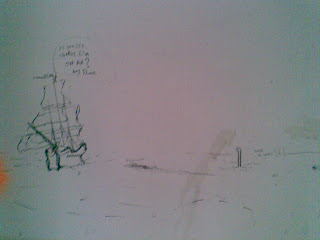 The second piece of Construction Graffiti which really caught my eye. I love the detail in the pirate ship, as well as the periscope on the submarine which is in the full sized version- I'm really hoping that the periscope is a Union Scab reference. This definitely took the large part of a Sharpie to complete and substantially more than a coffee break. Nice work fellas.